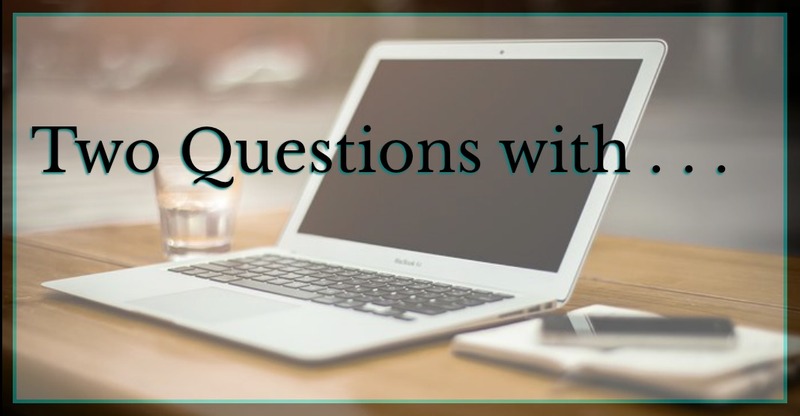 Before I get into the meat of today’s post, I’d like to mention that the “Two Questions With…” blog tour will soon be heading into its third, and final week on Monday. This week I’d like to talk about the difference between Writing and Authoring. You’ll sometimes hear the two words used interchangeably, but there is a dividing line between the two. Depending on where you look, this line is of varying shades of grey. By far, my favorite definition of the two comes from Dean Wesley-Smith. An Author is someone who has Written. Obviously two different hats here, right? The thing is, if you’re going to make a career out of this, you’re going to have to figure out how to wear both hats – sometimes at the same time. I don’t think I’ll get much push-back when I say that the Writer hat is on all the time. I know it’s always on for me. There are times where I’m more aware of it than others, but it’s always there. I’ll get to the Author hat in just a moment, but I want to say one more thing about the Writer hat: It fits inside the Author hat. The way I’m thinking about it, it’s like the Writer hat is a Baseball hat, and the Author hat is like a batting helmet*. The Author hat is there to protect the Writer hat. When I sit down to write, I take my Author hat off. There shouldn’t be anything between the Writing hat and the page. When I’m done writing, I put the Author hat back on. It feels good. I like putting the Author hat back on. As the face of publishing changes, there’s more and more work for the Author to do. Social media presence and interaction? Author hat. Con appearances and Readings? Author hat. Being a Writer, and being an Author are both very complicated and busy tasks. The Writer’s tasks are simple:**** Write. That’s basically it. The Writing takes different forms, up to and including staring off into space noodling over the work. The Author’s tasks are more complex. Or, maybe it would be more accurate to say that they are more varied. The Author is concerned with the long game. Building readership, carving out a place for yourself in the world, engaging with readers and fans. As an Author, I’m constantly on the lookout for ways that I can get myself out there. How I can reach more people and build readership. And I’ve got to figure out how to do it that doesn’t – or at least minimally – impact the Writing time. The “Two Questions With…” blog tour that I mentioned above. Total Author hat territory. Regardless of whether or not you decide to go the traditional publishing route, or self publish your work, more and more you’re going to need to be comfortable wearing the Author hat. Today, publishers are looking for partnership with their authors. ***** They aren’t going to have a lot of money budgeted for promotion – they may have a little – but this is you and your publisher working together as a team to do the best you can for your work. And if you’re self-publishing? Self-promotion is part of the job description. In either case, nobody is going to care as much about your work as you, the Author. And this is a good thing. Remember, the Author is playing the long game: Protect the Writer so that the Writer can do their thing, promote the work, engage with the readers and fans, put on a good show at conventions and readings, and do it all without taking up the time the Writer needs to do their thing. It’s a juggling act, and both hats will demand that you make sacrifices or, at the very least, maintain a certain level of organization. What does the Author get out of it? The Writer has the work and all of the awesome associated with it. Those times when the pieces fall into place, that one line of amazing dialog that just nails it, those scenes, or pieces of scenes that grab you in the emotions, all of those are for the Writer. The Author has the readers. The people at your readings that want you to keep going, the ones that bought your work and are asking you to sign it. The evidence that you said, or did something at an appearance somewhere that had a direct impact on a sale. The Author gets to hear the good stuff first and pass it on to the Writer. The Author gets to hang out at Bar-Con – with other Authors. It’s becoming clear (to me at least…your mileage may vary) that the Writer and the Author are two parts of the same whole in today’s market. The skills are different, but valuable if you’re going to make a go of this professionally. Also be sure to stop by on Monday for the Third and Final week of the “Two Questions With…” blog tour. Head on over to the Events page for the schedule and links to the other Author’s websites. * Or a cycling hat and a cycling helmet. I’m going to encourage you to take the metaphor and run with it. As long as you end up with a soft hat that fits inside a much harder piece of headgear, you’re good. You do You. ** Except when, you know, you’re actually writing. *** No, writing your blog posts do not count as writing. Working on your current project is writing – even if you’re not actually, physically, writing. **** Simple ain’t the same as easy. You confuse the two at your peril. ***** Unless – or until – you’re a Top-Name Writer.